In Mihama, the architects at Studio Velocity are inventing the social housing of the future. 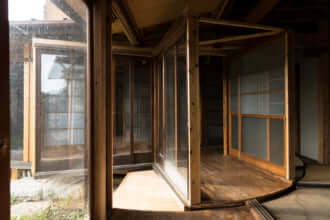 In this little commune in Aichi prefecture, the rent-controlled housing built in a slapdash manner in the 1960s were falling into disrepair, to the point of being uninhabitable. 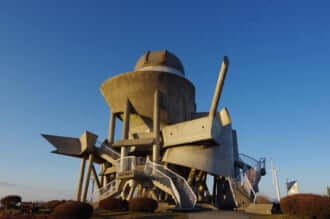 Rather than trying to replace everything quickly and following the same model, the town charged architects Kentaro Kurihara and Miho Iwatsuki with designing lasting housing, conceived to create a sense of community and promote conversation. And so in 2017, their project was born, comprising ten individual maisonettes with big white rooves and one floor. They used wood, as they found it warmer than concrete. 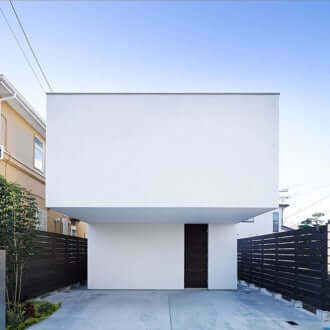 Each maisonette has several large glass doors looking out onto the street, and an edge where residents can sit down (an engawa) along the façade. These elements, which blur the boundaries between public and private space, promote contact between residents. The project was a success for the architects: when they returned to the site, they stated that they noticed neighbours going to lunch together, and children and older people chatting on the paths. Their peers agreed, because they gave the duo the GOOD Design Award 2018. This Japanese prize assesses the quality of a project for, amongst other things, the quality of life it offers its beneficiaries.